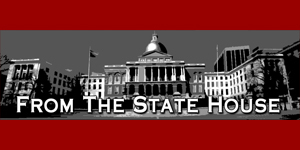 As the Massachusetts Legislature changes to informal sessions, I felt it was important to update you on some of the legislature’s accomplishments over the past session. I was proud to have worked with Senator Humason to file and secure budget amendments for Agawam Public Schools of $100,000 in 2015 and $150,000 in 2016. These awards helped to renovate the Agawam Junior High Auditorium which hadn’t been updated for over 40 years. They also will help with classroom upgrades and security improvements. I also worked to secure $450,000 for Southwick to build a new salt shed to replace one that was in disrepair and was having an adverse effect on the surrounding environment. We passed some very important legislation this session addressing the opioid addiction epidemic, veterans’ housing, and municipal finance. These important pieces of legislation allowed us address some of the most pressing needs of our district and the Commonwealth. I hope that these pieces of legislation will help to further improve the lives of our residents and help those in need of services. I was proud to support these pieces of legislation and I look forward to continuing to serve the residents of Agawam, Granville and Southwick in the legislature. In the upcoming session, I look forward to working with the Town of Agawam on their downtown revitalization efforts. The Walnut Street Ext. section of Agawam has been primed as the town’s biggest project moving forward and I look forward to helping in any way that I can. I have discussed this issue with the Town’s administration and have lobbied heavily on behalf of the town in support of their recent MassWorks grant application for that purpose. This project will hopefully allow Agawam to attract new businesses, increase revenues and create an exciting and revitalized area for residents to shop and dine.